Help Documents - Version 5 The Registrant List (Manage your Registrants)How do I Bulk Edit registrants? In this example, we are going to edit the Attended field. 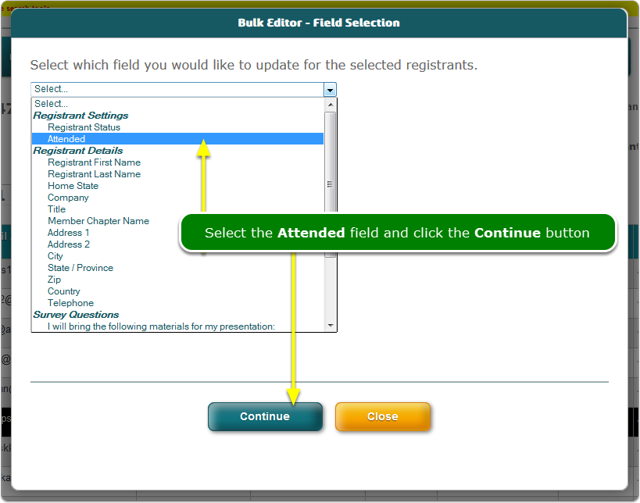 Select the Attended field in the dropdown list. 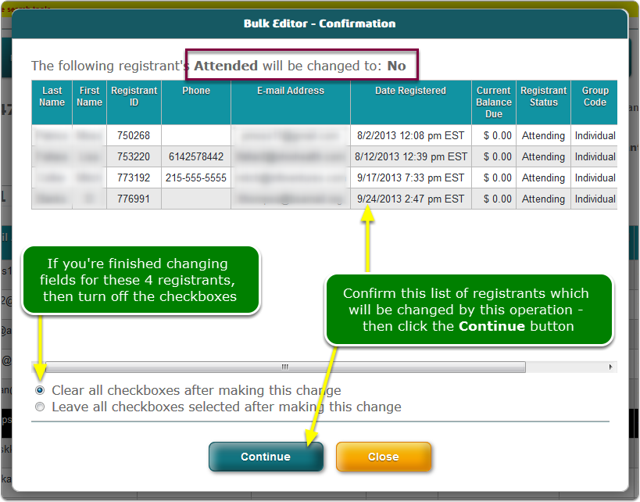 In this example, we are going to mark all checked registrants as Not Attended. Note the names of fields that are automatically included in the menu. 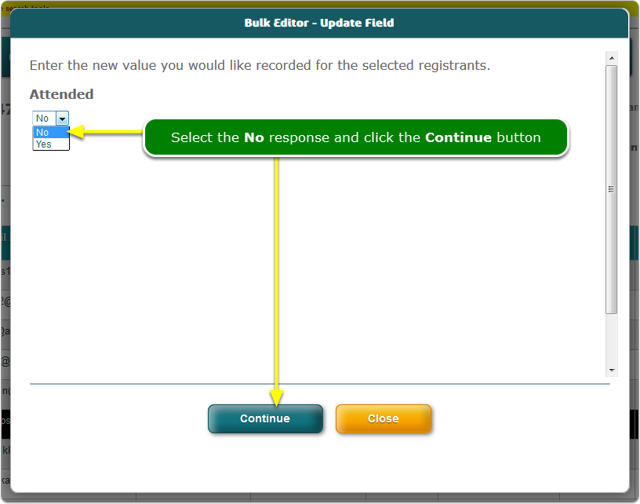 There are registrant settings, registrant details (About You fields) and further down, your survey questions. The confirmation screen displays a list of all registrants that will receive this change. Since we moved the Attended column to the front of the list, it is easy to see that all 4 have been changed to Not Attended (No). Have a look at this article: How Do I Bulk Delete Registrants? 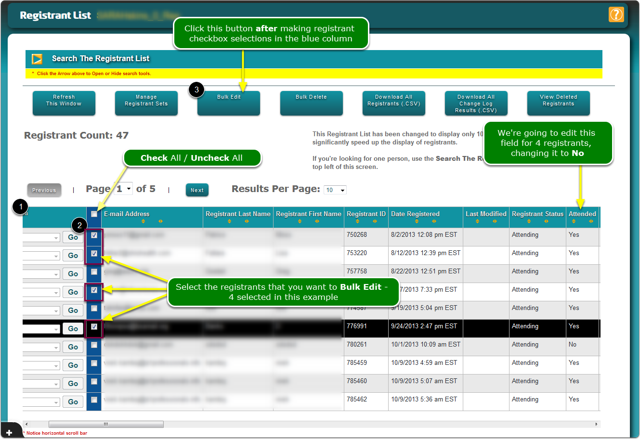 Prev: How do I sort and move Registrant List columns? Next: How do I Bulk Delete registrants?